Asphalt binder technicians – you’ve been there. The lab is cranking and you can barely remember what you had for lunch or if you had it at all. You are FED UP with FedEx and UPS. Each delivery brings fresh stress wrapped in a brown box. You get it. BUSY! You’ve gotta move! That binder ain’t aging itself! In much of the United States, both users and producers are rushing to finish projects before the snow flies so with the fall comes mountains of COA (certificate of analysis) samples. Knocking that RTFO nozzle out of place will lead to a low DSR G* and you will not be ROTFL (rolling on the floor laughing). Check it weekly at a minimum! Rushing that DSR trim, whether it’s under or over-trimmed, will be factored into calculating G* to the fourth power. That’s an exponential mess! Get it on that mold! Not so fast. Slopping it on a DTT, softening point or elastic recovery mold changes the dimensions of the specimen. All of the tests that require a release agent are also relying on very precise dimensions. Stay calm and take it easy on the stuff. Nobody likes performing flashpoints, but you’ve gotta do them. After you are finished, just take those few extra moments to get that hot asphalt off of them BEFORE they cool down. That carbon build-up reduces the sample size and makes the fill mark disappear. Yes, sample volume matters. Even if that quart of hot binder misses your properly PPEed self, you now have a mess that has everybody’s attention. I could go on but I’ll spare you. You get the idea. Like it or not, workload cannot replace quality. We’ve calculated that the quickest turn-around for a full M-320 verification is 26 hours. If someone tells you differently, they are probably taking some shortcuts. During those 26 hours, taking a few extra moments to trim, clean, carefully apply or pour properly will save time in the long run by reducing retesting and poor quality results. I’ve said it over and over again that binder technicians are not just button pushers. They are vital in our industry. We rely on rock solid data to build quality roads, roofs and other asphalt-related products. A test requires what it requires. Don’t rush it. 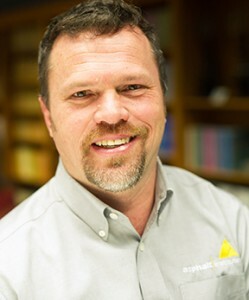 Beavin is the Technical Training Coordinator for the Asphalt Institute. Click here for a full schedule of Asphalt Academy courses.